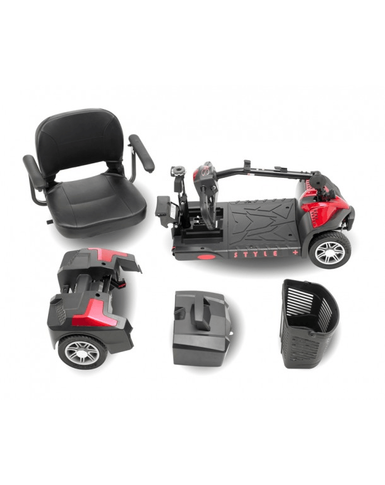 The follow on to our popular Style Scooter, This new Plus model improves on the popular standard model and features a more comfortable deluxe seat. 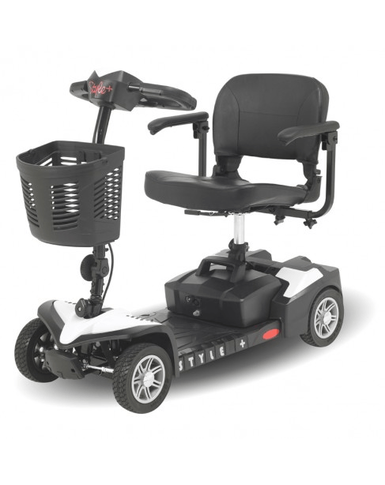 The new Style Plus has been redesigned for improved comfort, this new model includes a deluxe cushioned seat for a more comfortable drive, and in addition includes new and improved stylish shrouds for a modern finish to the scooter. The Style Plus is ideal for trips out this summer as it can be easily dismantled into 5 pieces to fit in a car boot. 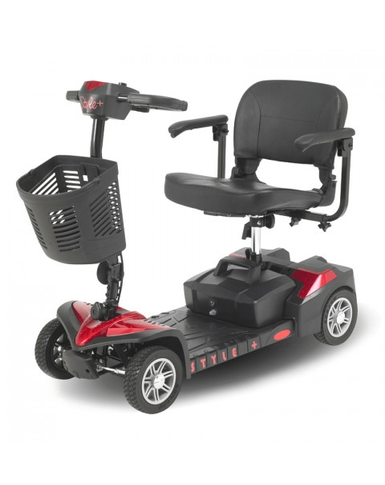 As well as the new stylish design and extra comfort seat the Style Plus retains its entire range of excellent features, including; a swivel seat for easy transfers, on board & in house charging as standard, electromagnetic braking system and delta type handle bars for easier control. 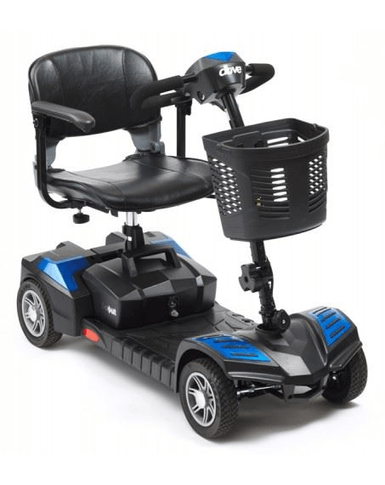 *Please note that this is an entry level scooter and is only suitable for use on smooth surfaces, ie pavements, shopping centres or smooth pathways. Excellent company to deal with. Ordered on the internet and the Scooter arrived quickly. Was easy to set up and the price was extremely good compared to others I know who have paid more than double this price for a less robust scooter. 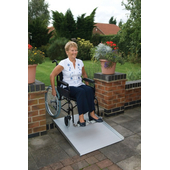 Very happy with my purchase and I will shop with The Mobility Shop again.